in association with Deana Lloy . 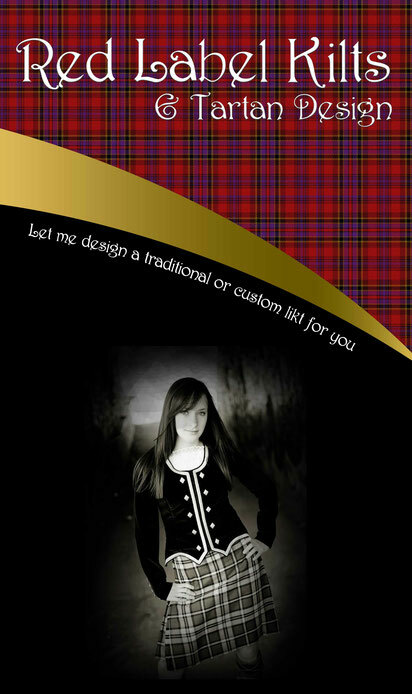 We are able to offer kilts, scarves, sashes, ties, bags, golf towels, vests, necklaces and much more. Our designer would also be only too happy to discuss your requirements for something special you have in mind. 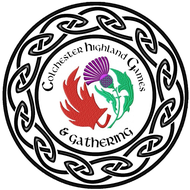 Our tartan is only reproducible with the express written permission of the Colchester Highland Games & Gathering Society. 100% Wool. Woven in Scotland. 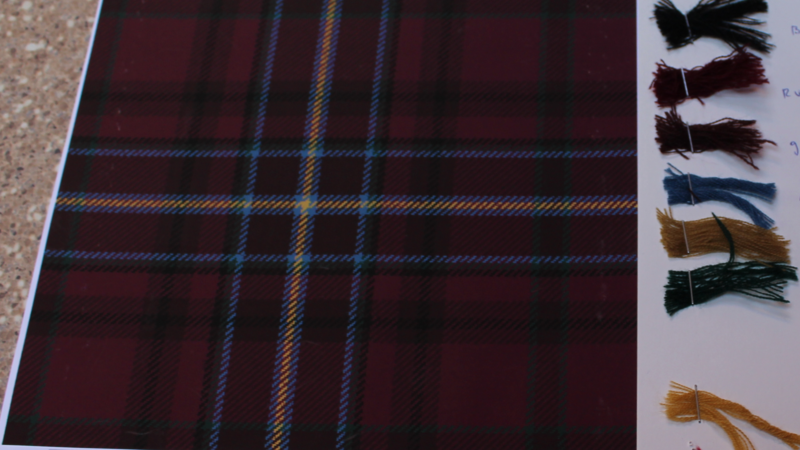 Limited Edition from a restricted permission only tartan weave. We now have our 2018 scarves, ties & other tartan products ready for purchase. Colchester (Nova Scotia) Tartan centred on a pendant of varying lengths & designs. Choose your favourite here. Perfect gift for that hard to buy for person in your life. Limited Edition. 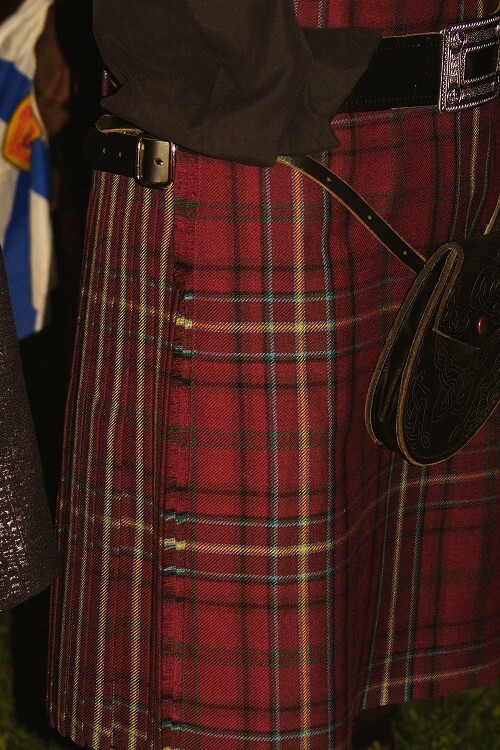 Heavyweight 100% wool kilt, woven in Scotland and Made to Measure in Nova Scotia with a choice of pleat styles. Our last two first edition kilts (# 4 & 5) both of which come with a certificate of authenticity and their number on the list are available 2018. After our first edition kilts have been sold there will be an opportunity to obtain one of our annual limited edition kilts of which only a few will be made each year. Get yours now for that special occasion. The Dark Red Loamy Soil of Colchester County is the background colour of our tartan. & Black taken from the Mi'kmaw Medicine Wheel representing the North. The Colours represent the land and the peoples who settled in this place we call Colchester. 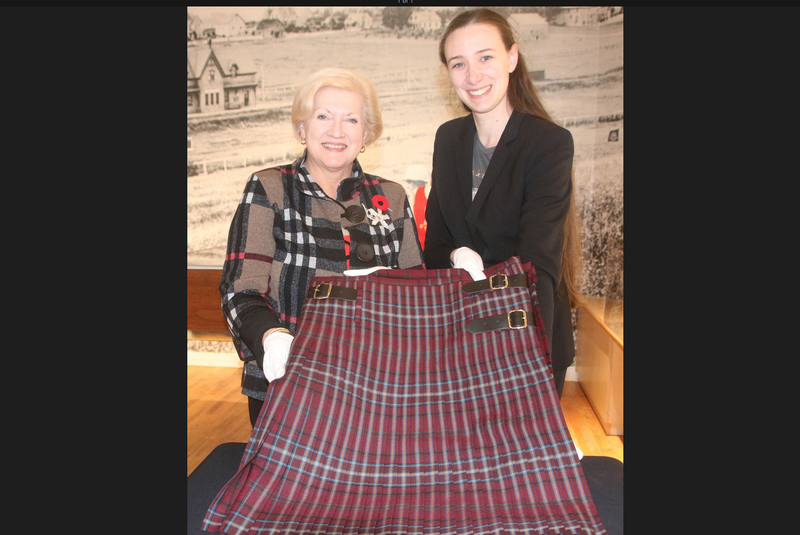 On September 8th 2017 at the Civic Square in Truro the Colchester Highland Games & Gathering Society invited Jean Watson - the woman behind Tartan Day (April 6th) to unveil Colchester county's first official tartan. The Mayors of Truro, Stewiacke & Colchester, Commissioner of Bible Hill, the MLA's of the county as well as Chief Bob Gloade were all present. 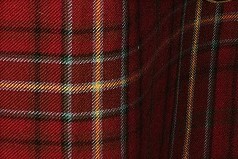 Red label assisted us with the design of our new tartan and very kindly donated their time in doing so. We are also very pleased to have them produce our last few kilts for us. Their work is outstanding & you will be very pleased with your hand-made to measure purchase. 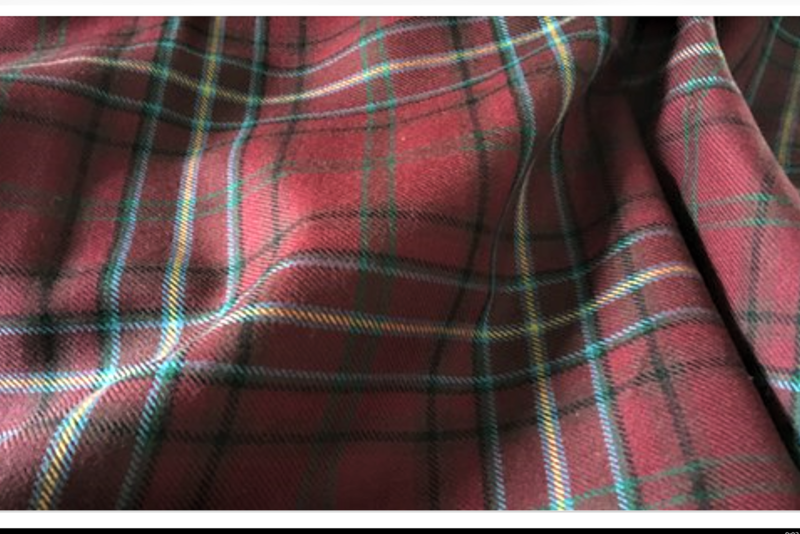 Our tartan is woven by special request at Lochcarron Mills in Scotland (see video below) and is not available in any store. We have only two kilts left for sale out of the first five ever made, which come with a certificate of authenticity - orders can take up to 3 months from ordering to delivery. 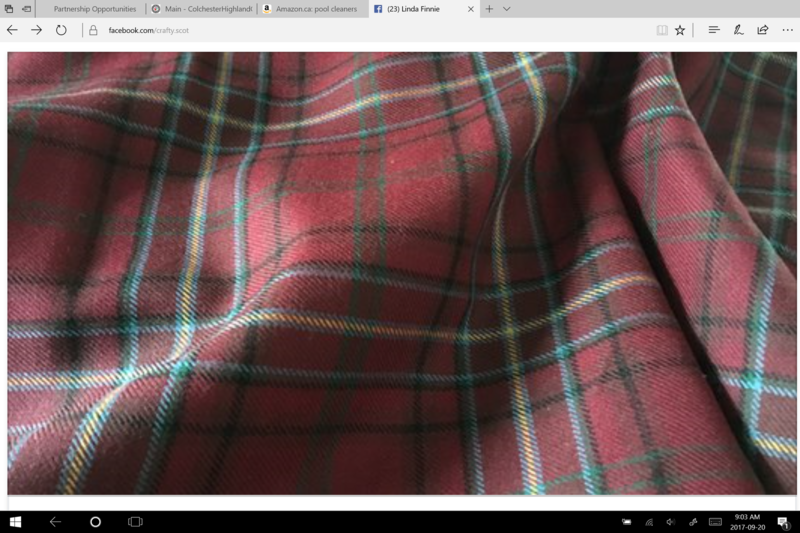 If you are interested in having a kilt made from our Colchester Tartan please contact us here.